If my cats could understand what was happening on the television while I'm playing video games, they'd hate Far Cry Primal and they'd be thoroughly ticked off at me. For the last four days, I've spent hours upon hours petting, feeding, and taking care of pre-historic cats. In my defense, the cats in Far Cry Primal have a lot more to contribute in a hunting situation. 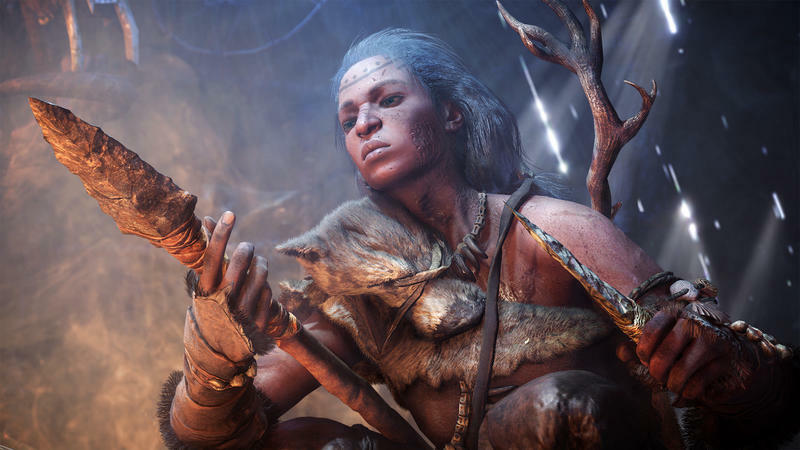 When Ubisoft announced Far Cry Primal, I was immediately intrigued. The series had been suffering from obvious fatigue. Far Cry 2 was near perfection of the Ubisoft formula, but Far Cry 4 felt like the team going through the motions. It was a great-looking game, it had some neat stuff, but ultimately it was kind of a snooze. I didn't play it until much later, and when I did it never felt as crucial or compelling as its predecessor. I began to wonder if the formula had been mined clean of fun. Primal sought to mix things up significantly. 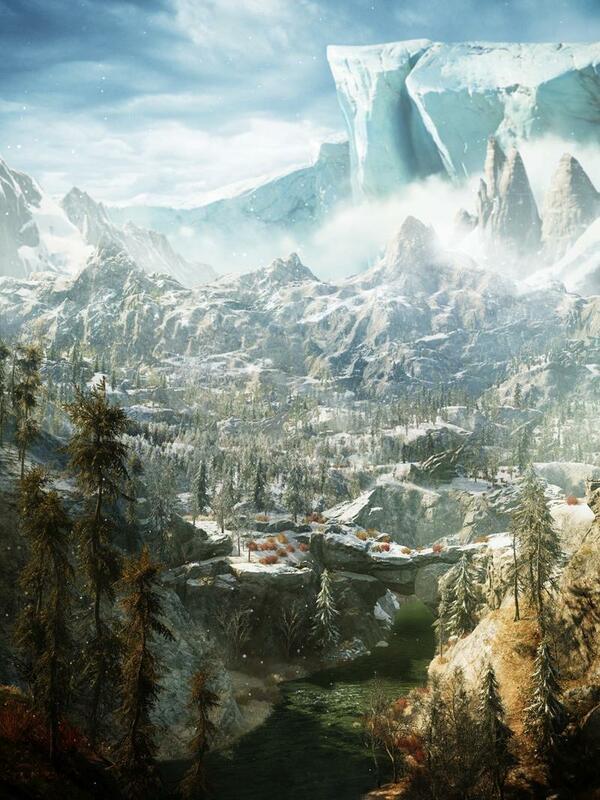 The nickname "Skyrim with guns" is no longer applicable. 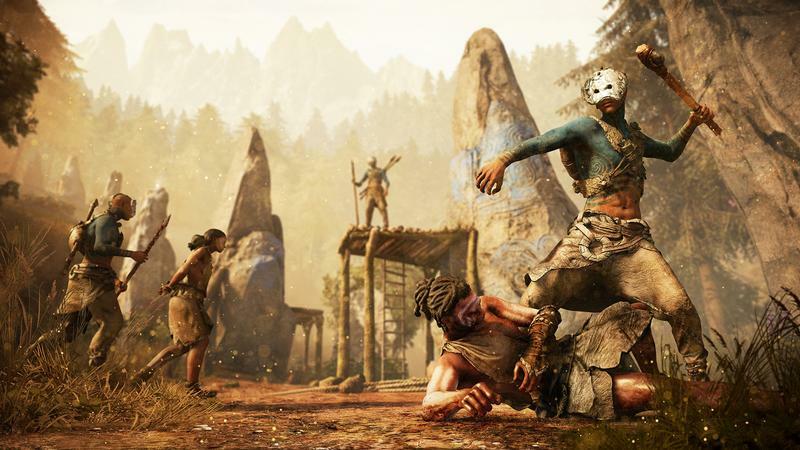 The team whittled the Far Cry formula down to its core and ended up with a Stone Age game that brings together the series' core ideas. 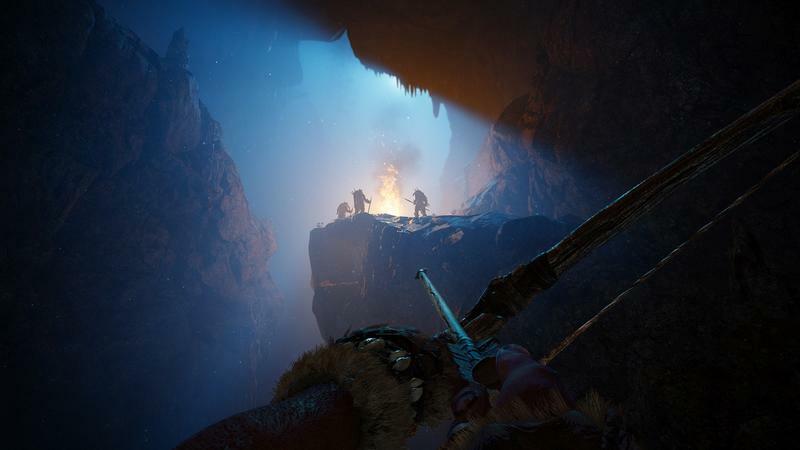 The new setting for the Far Cry Primal is really what fuels everything else about the game. Without it, it would be much more difficult to separate this game from other entries in the series. 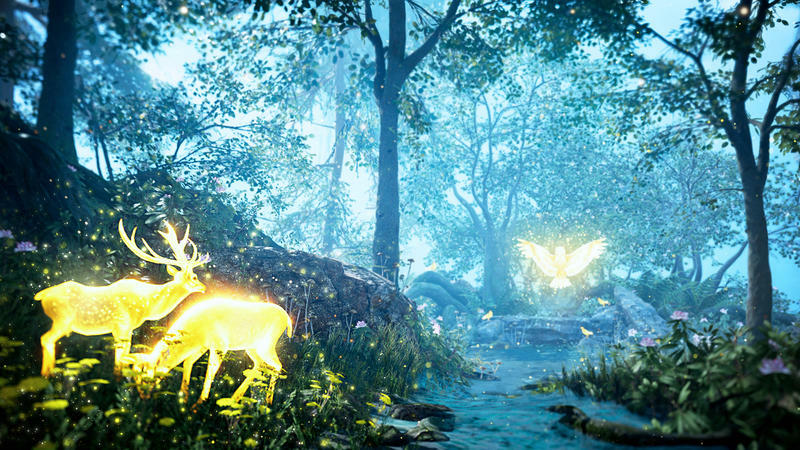 The team behind the game went out of their way to make sure the setting permeated as much aspects of the game as possible, rarely breaking the immersion. One of the biggest ways they do this is through language. This might be the most daring aspect of the game. There's not a word of English, French, or any other modern language spoken throughout the entirety of Primal. The language is a fictional one, but it's based heavily in reality, using things we know about very early languages to establish something that would be plausible as an early form of speech. The voice actors had to learn this language and act in it. As I played, I found myself picking up words here and there, learning bits and pieces of incidental speech that let me pick up on cues in unsubtitled dialogue. You can't whip out your phone during these cutscenes, and it makes each bit of dialogue that much more interesting. I don't know that I've ever listened so closely to the way characters speak in a game. 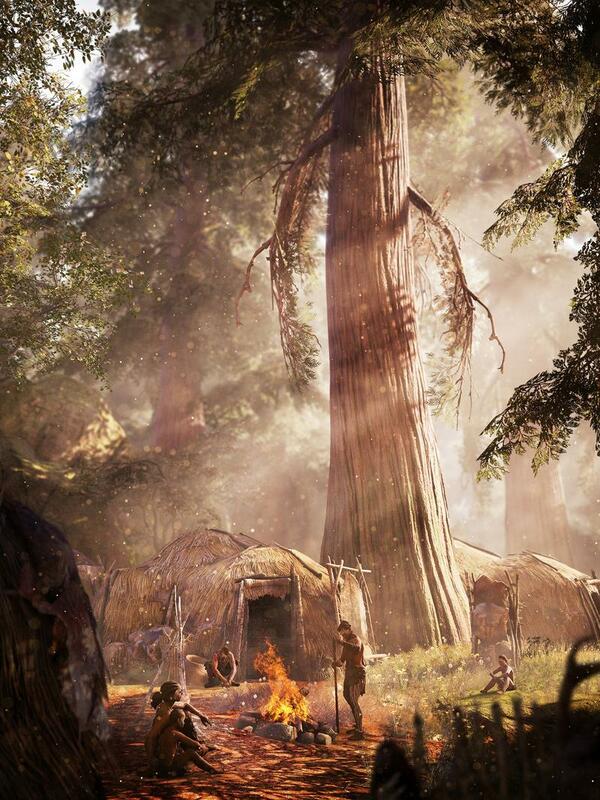 The game is set in 10,000 B.C., and this informs just about everything about the game. 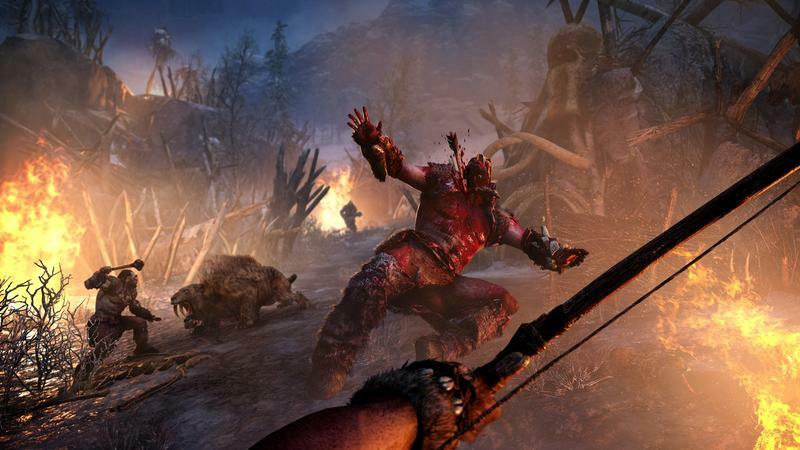 Far Cry games usually have you playing as a foreign mercenary, coming into a war-torn nation and stomping around, crushing tyranny and rescuing natives. In Primal, you are a native. You play Takkar, a member of the Wenja tribe. The tribe, a seemingly more peaceful one, has been pushed out of its home land of Oros by the Udam and Izila tribes, war tribes from the north and south. You're taking your land back and rebuilding your tribe. 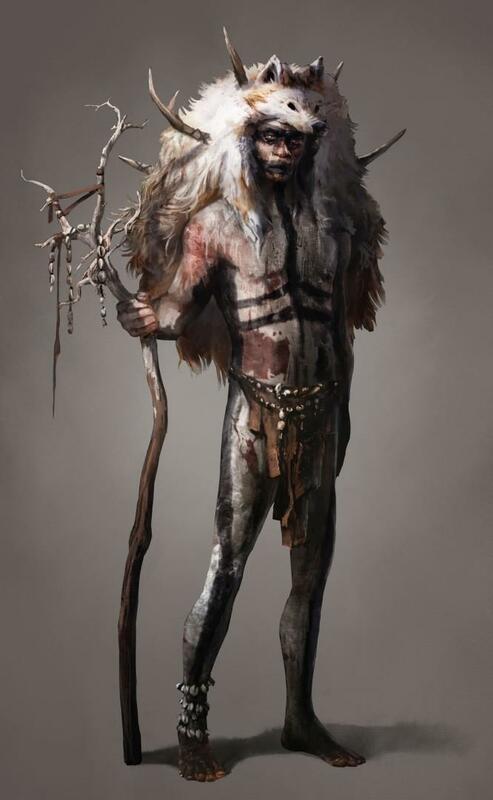 The Udam tribe has a look similar to that of stereotypical Neanderthal, while the Izila tribe has established a bit more structure than yours, with a clear leader and a form of worship. 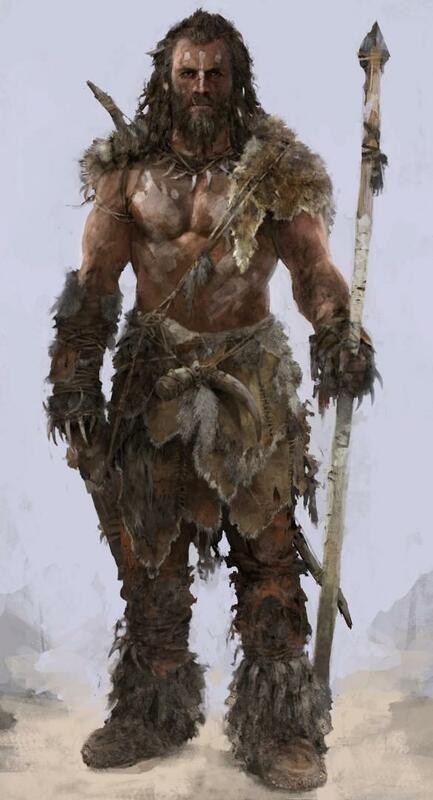 As Takkar, you protect your tribe from the brutal invaders while seeking out the best hunters, warriors, and builders to get better tech (read: sharper spears, bigger clubs). 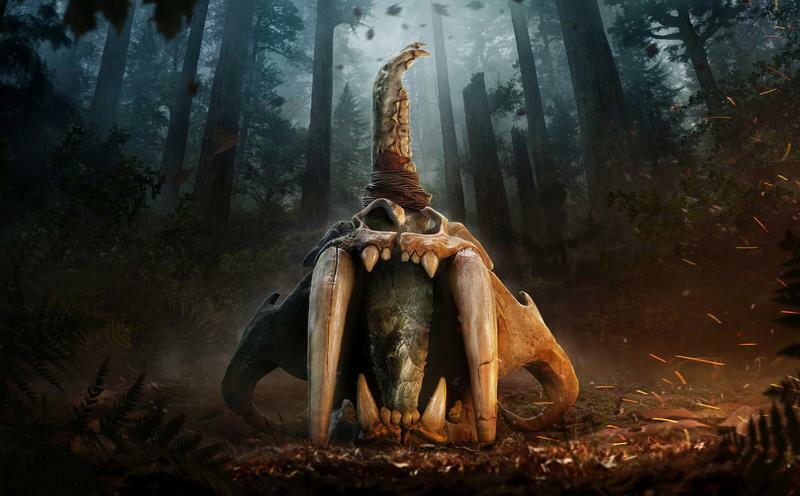 The big advantage Takkar has over the other tribes and even members of his own is that, early in the game, a shaman teaches him how to control the most dangerous beasts in Oros – wolves, jaguars, bears, and even Sabertooth Tigers become friends and weapons. 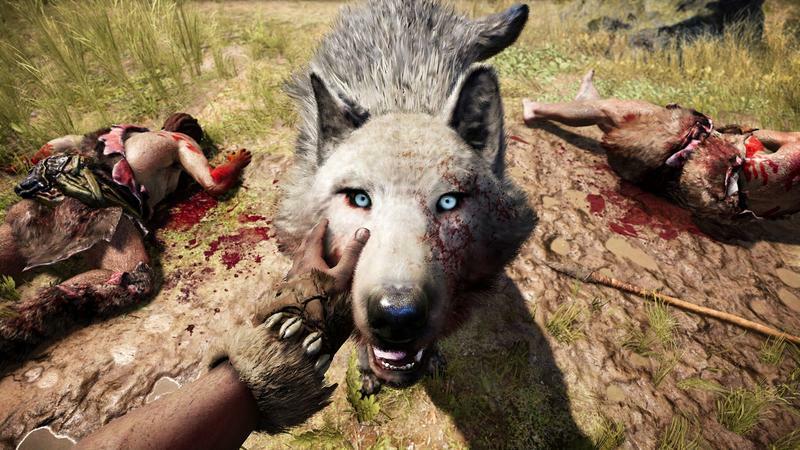 This sort of interaction was introduced in Far Cry 4 through the Shangri-La sequences, where your primary weapons were mystical animals, and a lot of what made them fun has carried over. Whether it's a wolf or a tiger at your side, they quickly become an invaluable companion, helping you hunt and fight. As you fight, your companion can be injured, meaning you'll need to feed them to keep their life up. You'll spend a lot of time looking directly into the eyes of, and petting, these animals. For me, this cemented my relationship with the beasts. While you can dismiss and summon any previously tamed creature, once I'd tamed the sabertooth I pretty much stuck with it, as it quickly became a favorite. The best part of the whole beast system, though, is Great Beast Hunt. There are a few beasts that are far more powerful than anything else in the game, and they're that much harder to get. 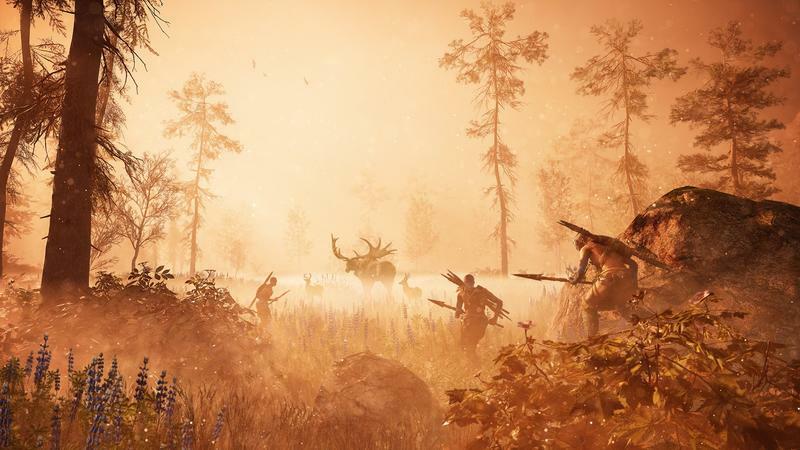 Tracking the beast, setting traps, and figuring out the best strategy to fight each one ended up being some of the most fun I had with the game, and the beast you get in return, like a massive cave bear, covered in scars, is hugely rewarding. From there, what you get is pretty standard Far Cry. 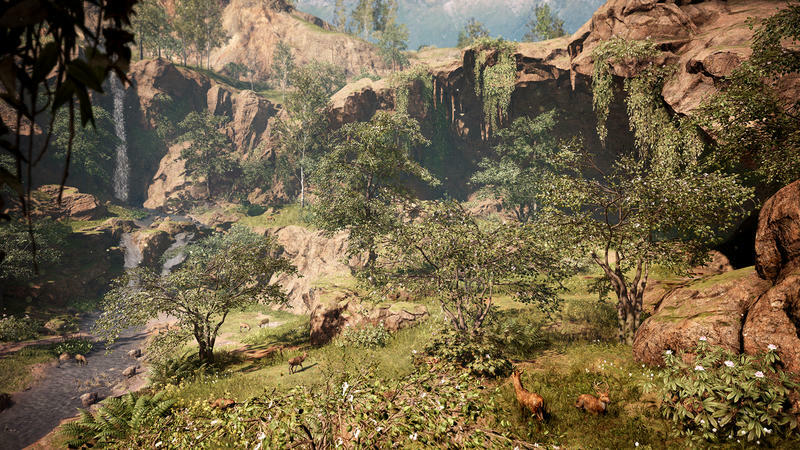 There's a huge map to navigate with different-looking regions, littered with icons of animals and outposts to hunt, tame, and capture. Quest icons pop up as you work your way through the quest-giving characters. Side-quests and collectibles are all over the place, and you can engage in randomly generated rescue missions and the like. That goofy redneck character, Hurk, from the other games, even makes an appearance here, of sorts. He talks in a slightly different accent, says tons of dumb stuff, and acts like an idiot. 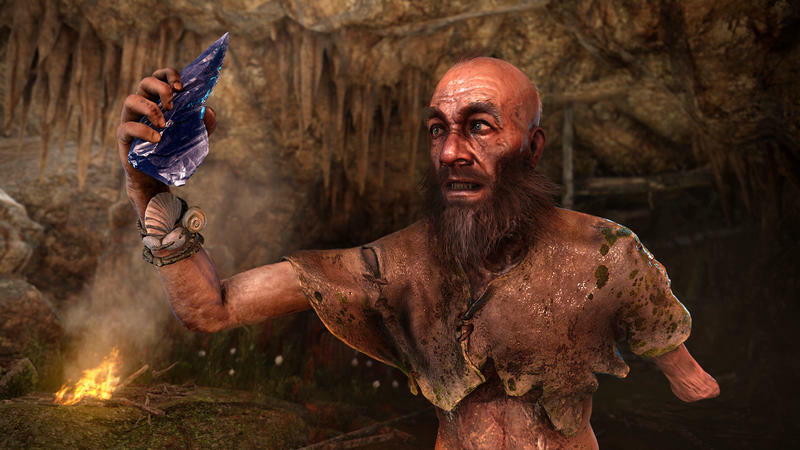 It's immersion-breaking, but it's also classic Far Cry. 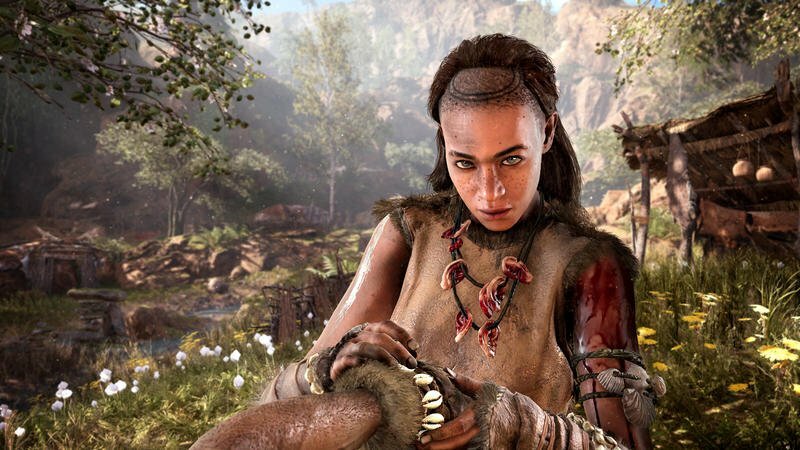 Even the main character fits into the standard Far Cry mold. He has his special Beastmaster ability, but spends most of his time running errands for other people, even though he's supposed to be the tribe leader. With the different setting, I'd hoped this might get a little more attention, but it was sadly familiar. 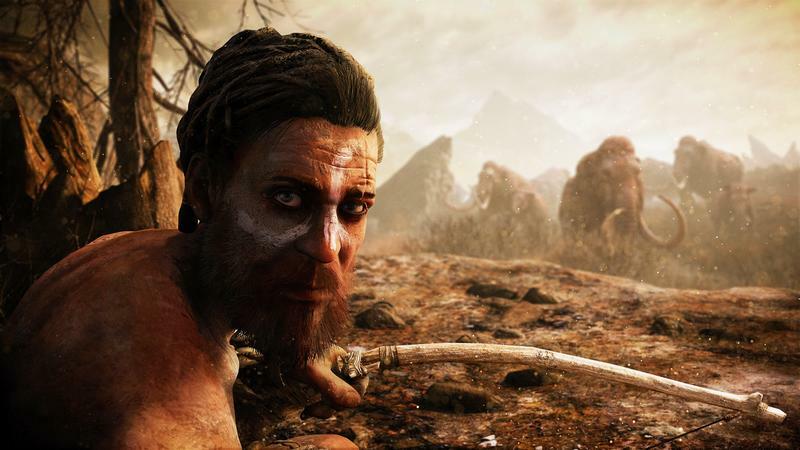 He's the same mildly confused, easily swayed murder savant that Far Cry characters have always been, with on a few moments to shine and develop some kind of personality. The other characters mostly make up for him, but he's still lacking. 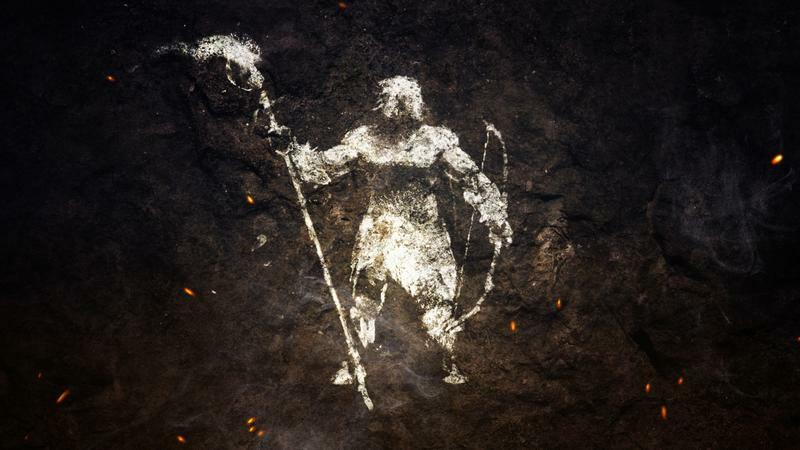 Primal isn't on the same scope as its predecessors – it's a smaller and shorter affair. There's no shortage of collectibles and side quests to do if you want more excuses to hang out in Oros, but the story won't take quite as long. 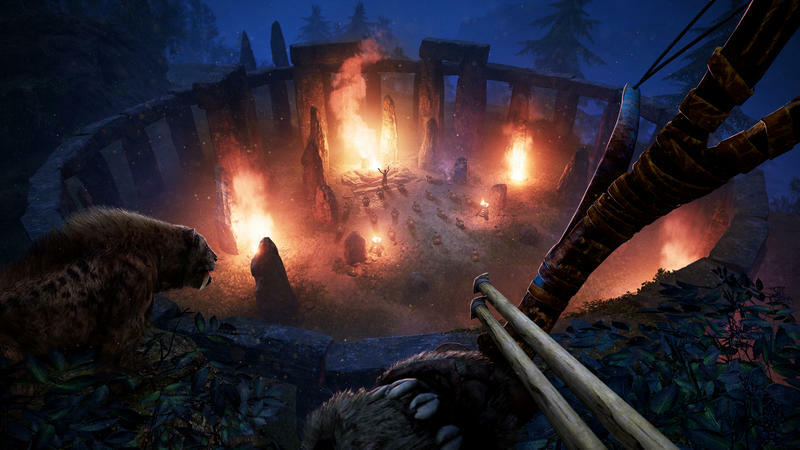 There's also no multiplayer like we saw in Far Cry 4, which is a bit of a disappointment. 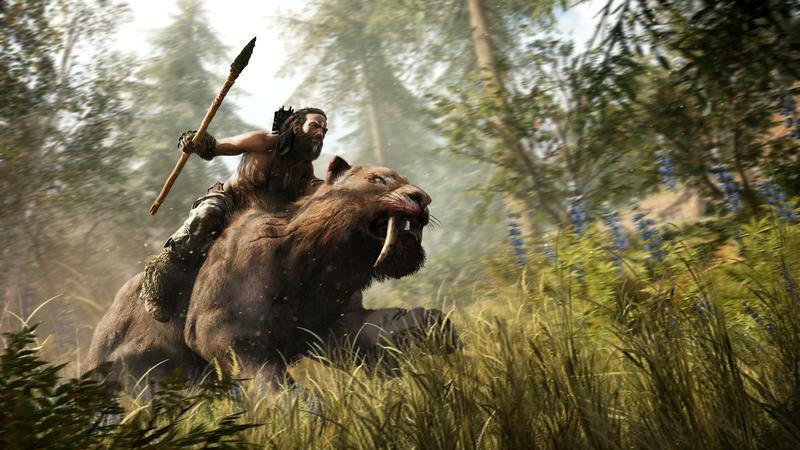 Hopping on giant tigers and riding across the wilderness with a friend would've been awesome. 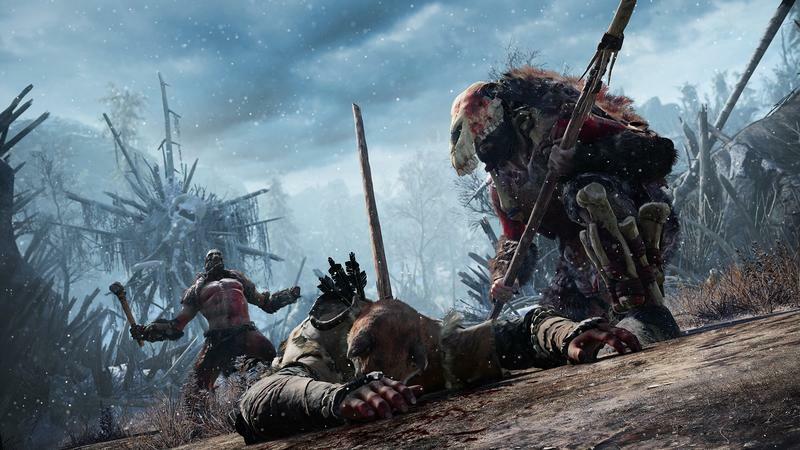 Primal does separate itself from the series mechanically, at least a little bit. I think the bow and arrow feels better than ever. The spears and clubs feel great as well, and dropping enemies with them is satisfying. Combat stayed fun through my entire run with the game, and I always felt pretty powerful. That didn't keep it from being tough or challenging at times, but I quickly set aside the concerns I'd had about primitive weapons resulting in a lack of variety. 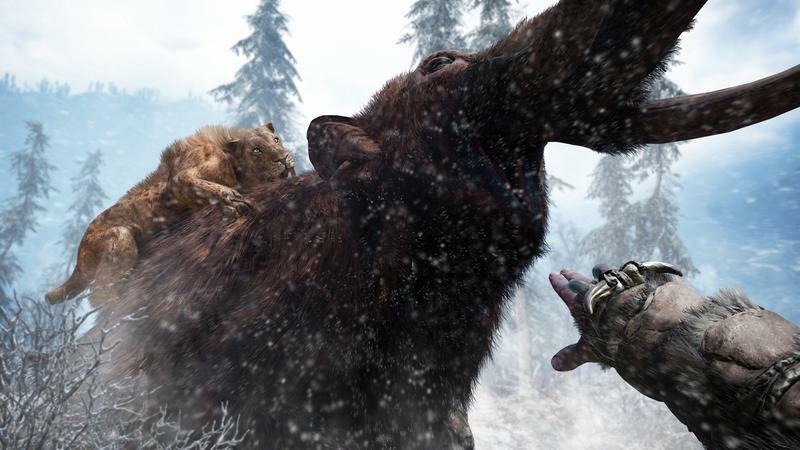 Later in the game, you'll pick up the ability to ride a few of the beasts you've tamed. This makes map traversal much faster, but it doesn't feel fully implemented. It feels floaty, and aside from getting from place to place there isn't much to do from beastback. 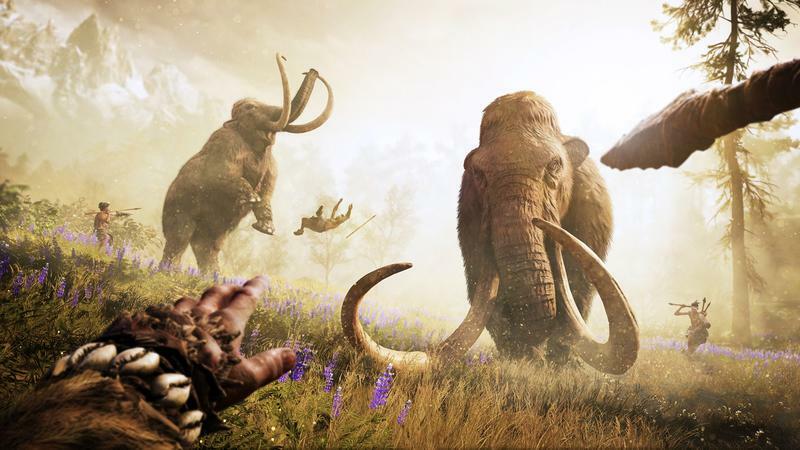 Mammoths provide a little more to do as they can run through some obstacles and toss enemies with their tusks. 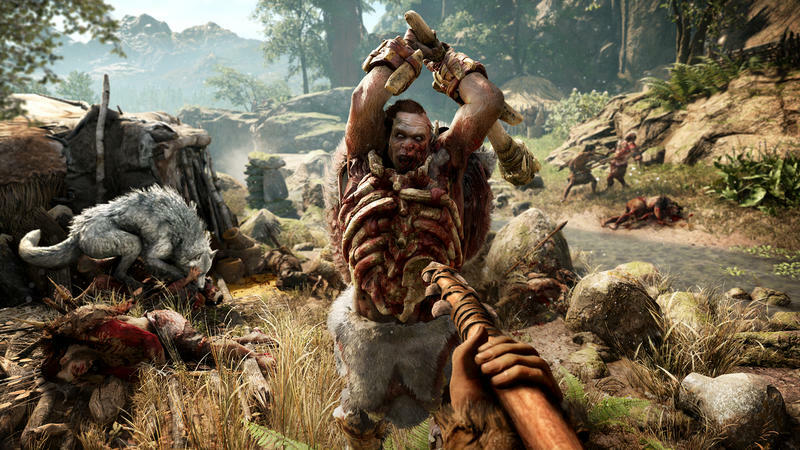 There's still a Far Cry game in the middle of Primal, and there's no getting around that. 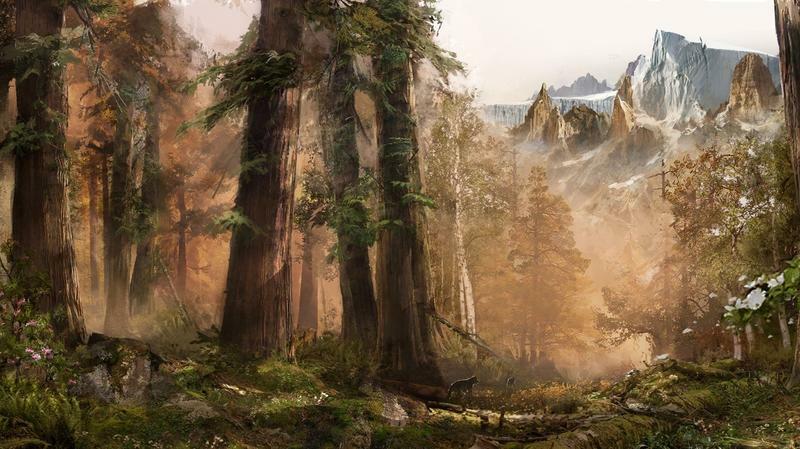 But the pre-historic setting does a ton to refresh what'd previously felt stale. The setting gives ample opportunity for interesting characters despite the primitive language. The new weapons and the beasts are both welcome additions that show that, if the team takes chances, there's still life left in the series. I'd like to see the next game in the series do more weird stuff like this, instead of reverting back to the modern day wilderness setting. Even when the gameplay itself might feel a bit familiar, the setting itself wins out. 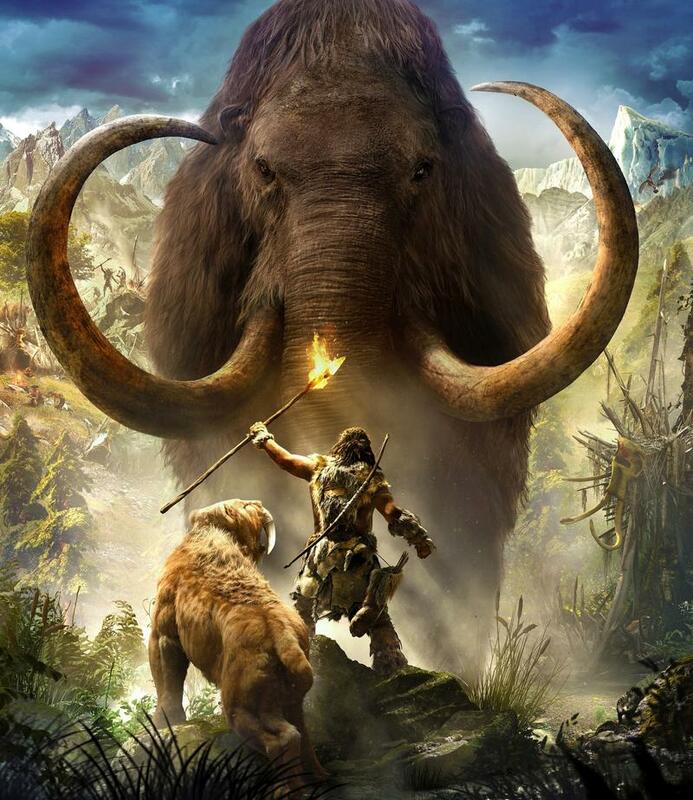 10,000 BC is a brutal, cruel place, but it's a fun one to explore, and brings some new life to the series. 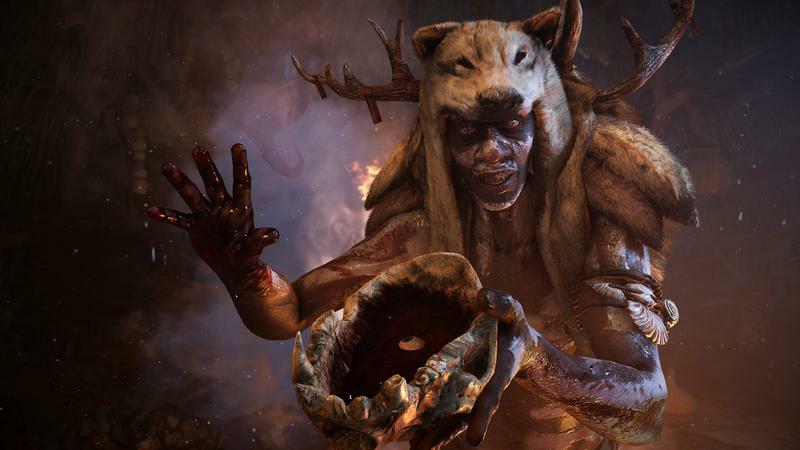 Disclaimer: We received a copy of Far Cry Primal for the Xbox One from the publisher. We completed the campaign before writing this review.